So far JillM has created 16 blog entries. The House Health Policy Committee Sept. 20 reported a bill to license and regulate nurses with a masters, post-masters or doctoral degree in a nursing specialty, called advance practice registered nurses (APRNs). APRNs may be nurse-midwives, nurse practitioners or clinical nurse specialists. Currently, the Michigan Board of Nursing may grant specialty certification to a registered professional nurse who has training beyond the requirements of initial licensure. A number of Congressional Democrats—including every Democrat in the Michigan Congressional Delegation—announced they’re going to battle after emergency funding for Flint was removed from a government-funding bill. The issue is swiftly becoming the pivotal matter on which a government shutdown may rest. If the impasse lingers, it will likely invite more national scrutiny to Flint’s water crisis, and with that, further squabbling over the allocation of blame. For the first time since voters said “yes” to medical marijuana in 2008, the state will be legalized freestanding shops where the product can be sold, under legislation Gov. Rick SNYDER signed into law Sept. 21. A five-tier regulatory structure will now co-exist with the current distribution model, in which a caregiver can grow plants for him or herself and five others. The bills, HB 4209, HB 4210 and HB 4827, create a license structure for the growing, testing, processing and transporting of medical marijuana, as well as legalize medical marijuana in non-smokable forms. The University of Michigan Health System has established a new partnership with Meijer pharmacies to provide hypertension management services for adult patients. U-M patients will be able to visit participating Meijer pharmacy locations to receive a blood pressure check and assessment. If the patient’s blood pressure is elevated, the clinically trained Meijer pharmacist will communicate directly with the patient’s U-M Health System provider. The patient will also receive appropriate follow-up and education about disease, clinical goals, medications and lifestyle. ICD-10, which contains more than 70,000 diagnostic codes, replaced the ICD-9 code set, which relied on just 11,000 codes. The grace period had only applied to claims submitted to Medicare and Medicaid, and while many commercial insurers offered similar flexibility, the majority did not, according to a report in Healthcare IT News. Researchers in the Wayne State University School of Medicine’s Department of Psychiatry and Behavioral Neurosciences will use a new five-year, $3.2 million grant from the National Institute of Mental Health to explore the underlying mechanisms of impaired learning and memory in schizophrenia from the perspective of brain plasticity, function and network dynamics. If technology and data was the last $1 trillion industry, data-driven advancement in biotechnology will be the next and West Michigan is positioned to take advantage, said former Hillary CLINTON innovation aide Alex ROSS. Ross was a keynote speaker at the Grand Rapids Economic Club luncheon and drew on his experience as former senior innovation aide to Clinton while she was Secretary of State. Ross said the data collected mapping the human genome over the last 15 years will likely be used next to conduct “liquid biopsies”—an early cancer detection test–and pharmaceutical therapies tailored to a patient’s specific genetic needs. The nation’s No. 3 insurer said this week it will reduce the number of states in which it sells policies on government exchanges from 15 to three or four. 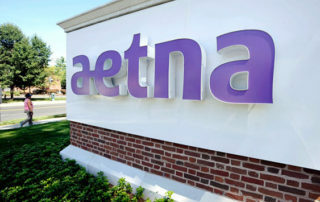 Aetna, Inc, decided to pull out of the 11 states amid sizable losses on it’s individual policy business. The states remaining are Delaware, Iowa, Nebraska and Virginia. The Flint water flowing from her showerhead caused her hair to fall out, read a Jan. 29, 2015, complaint from one Flint resident to Attorney General Bill Schuette’s office. A year later, the Attorney General opened his investigation into the city’s municipal water supply. “My skin is disgusting and my dog was sick until we switched her to bottled water . . . We need help in Flint PLEASE,” the Tiffin Street resident wrote. Today, Schuette is a central figure in the prosecution of nine government employees allegedly connected to the contamination of Flint’s municipal water. He’s also spearheading civil action against a pair of engineering firms potentially responsible for mistreating Flint River water.